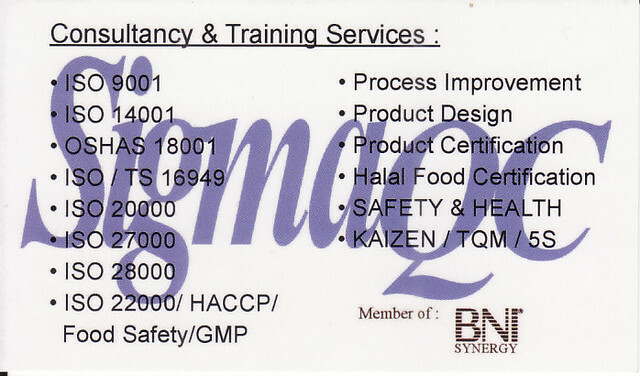 Enhance for effective implementing ISO 9001 management system to existing ISO certified company. 23, Jalan Bukit Permai 3, Taman Bukit Permai, 56100 Kuala Lumpur. The company founder is contracted as ISO 9001 Lead Auditor to a foreign based certification body and Quality Management System consultant. 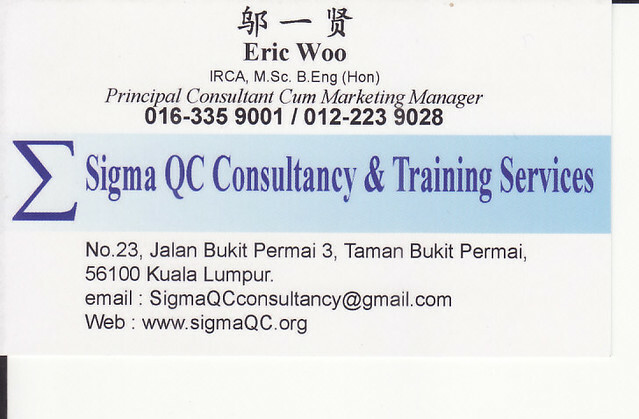 In additional, he also assists clients in developing ISO 9001, QS 9000 and ISO/TS 16949, management system. His experiences covering plastics & rubber, chemical, construction, metal, services and other industries has enriched his technical and management knowledge that enable him to be an effective, practical and performance approach consultant and trainer. The founder of the company has been in Project Development, Quality Assurance and Management System field for more than 9 years. His industrial experiences include electronics, metal, rubber and plastic product manufacturing in project development, machinery and jigs production design, product assembly, QA appliances and automotive industries.